Measurements: 5.7 cm W x 9.8 cm H x 3.8 cm ThickThickness taken at one side (thickest). Marks/Label: Embossed lettering CASSEBEER NEW YORK on side. Embossed lettering M.B.W. U.S.A. on bottom. 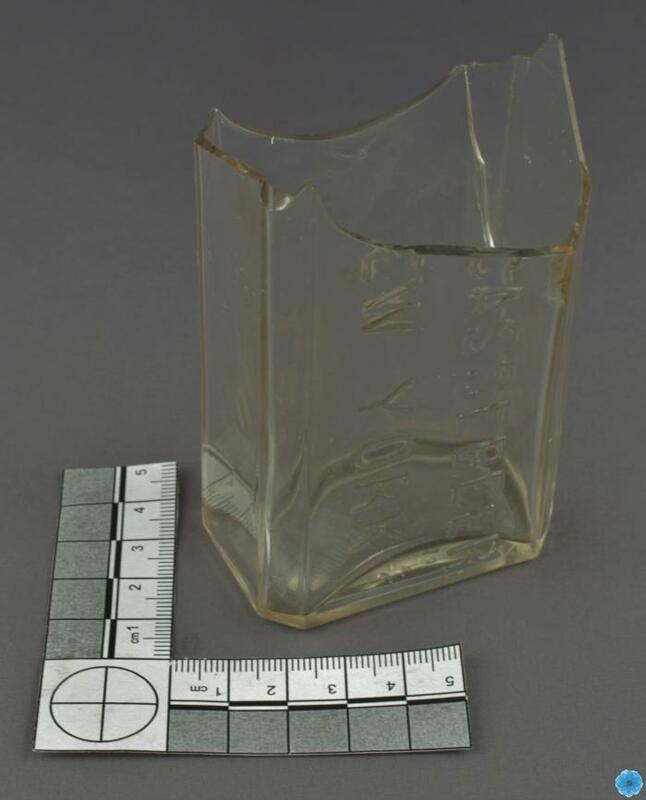 Description: Clear, thin, broken, glass bottle with brown staining in interior. Manufacturer name in raised lettering missing only partial lettering. Large crack down one side corner at the back. 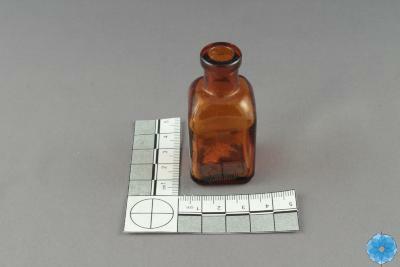 Top of bottle missing, one side (narrow) is quite thin compared to other narrow side. History of Use: Company known for producing cod liver oil and other pharmacy related materials from a large factory originally on Long Island, New York.